We have one of these, they're fantastic! I know right, best invention ever! We still love water here just on a bigger scale. 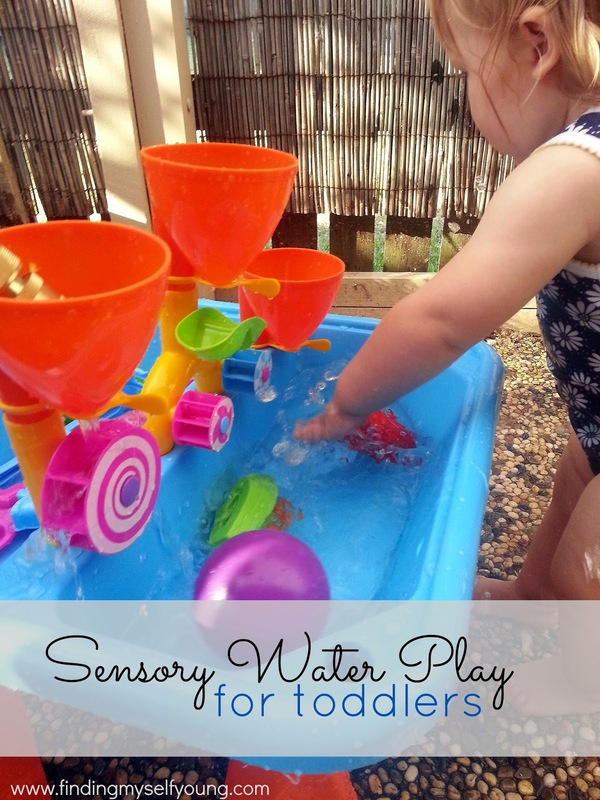 If you are looking for more sensory ideas I wrote a post last week. We have been playing with water marbles lots lately though she might be a bit little just yet. I plan on getting those water marbles, they look fantastic, but she still puts everything in her mouth so I'm waiting a little longer because I'm pretty sure she'd just try and eat them at the moment. 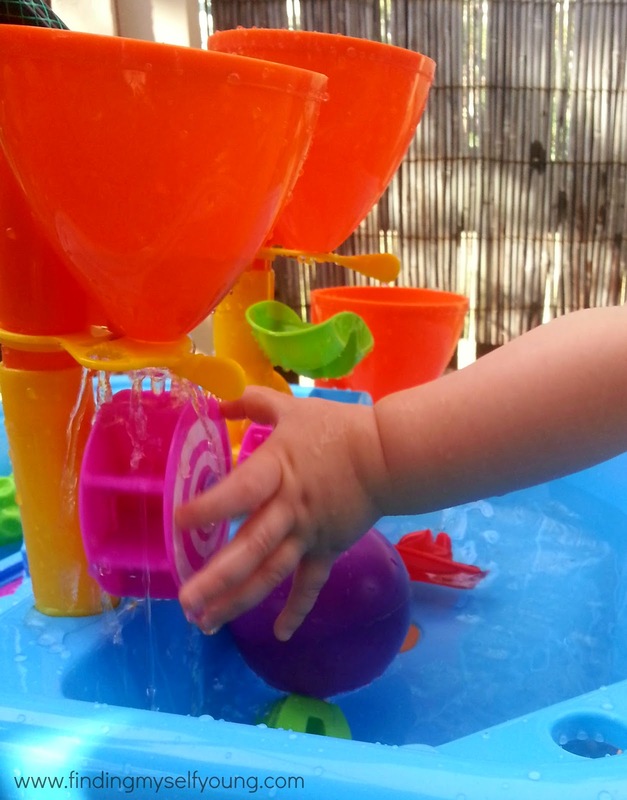 I think I've already told you that our little guy is a huge fan of water play! I need to invest in one of these tables for sure! 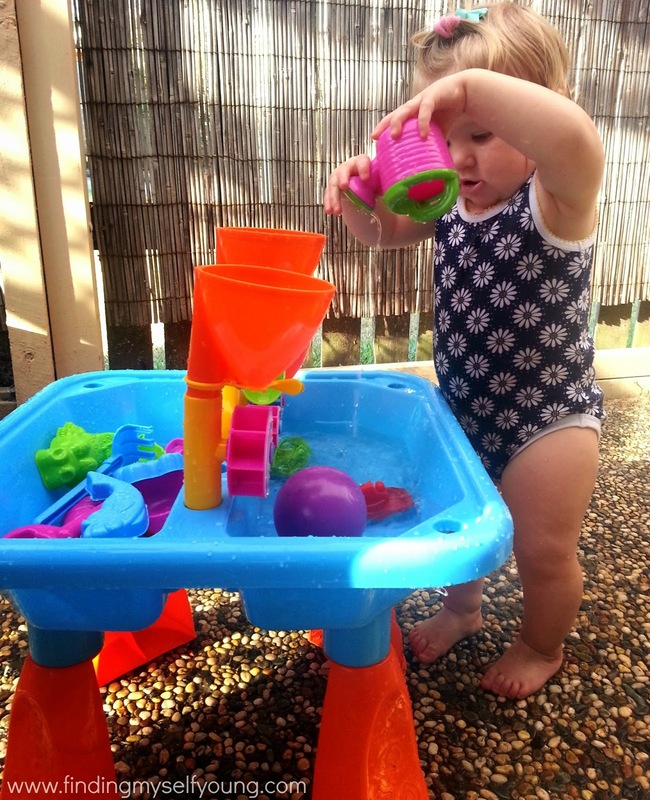 Yes definitely its the best thing ever for water obsessed toddlers and I'm sure you'll get heaps of use out of it with number 3 coming along too. I know I was a deprived child too! Excellent review, Toni. How cute is your delicious little bubby in her onesie! I just love her! 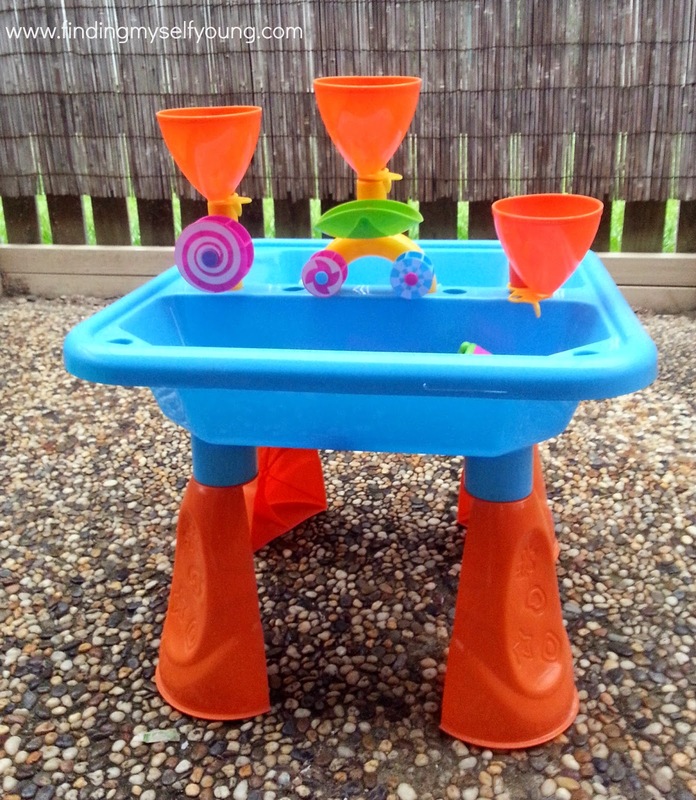 We have one of those pirate ship water tables and two or so years on it is still a favourite! Good to hear the girls still play with theirs, I'm thinking we'll get a few years out of this one too. Oh yea it didn't take long. She also knows if she put their biscuits in the water bowl they float and then go all mushy. The cat foot is now in the kitchen behind a safety gate! My boy is obsessed with water too, so I don't know why we haven't gotten one of these before. Am wondering how to use it in the winter though, perhaps in the bath? You could definitely use the accessories in the bath. 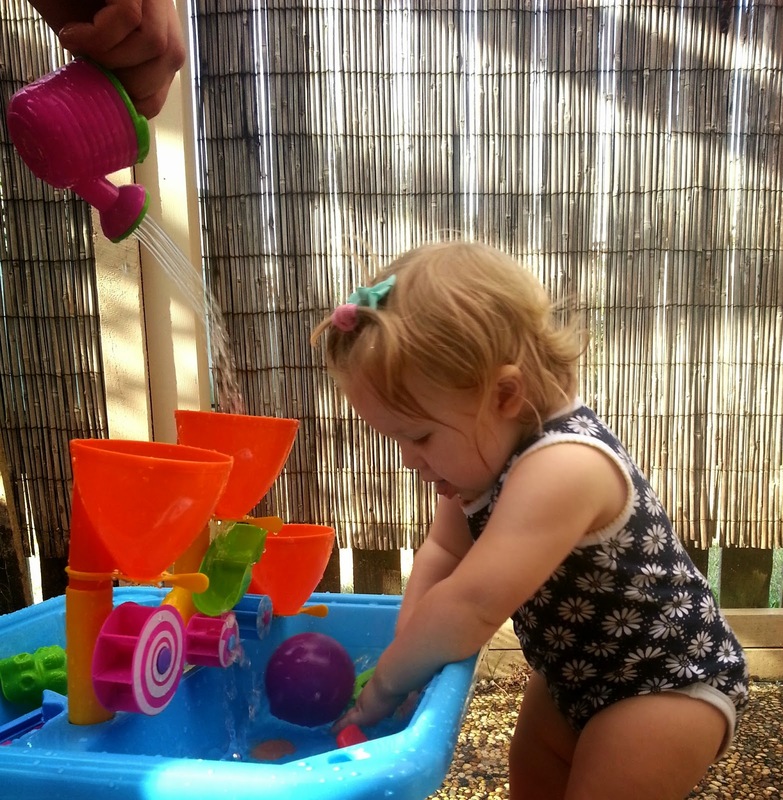 I'm thinking maybe in the garage with warmer water and if I was using it inside I'd take off the legs so she could use it lower to the ground to try and minimise the amount of water splashing everywhere. 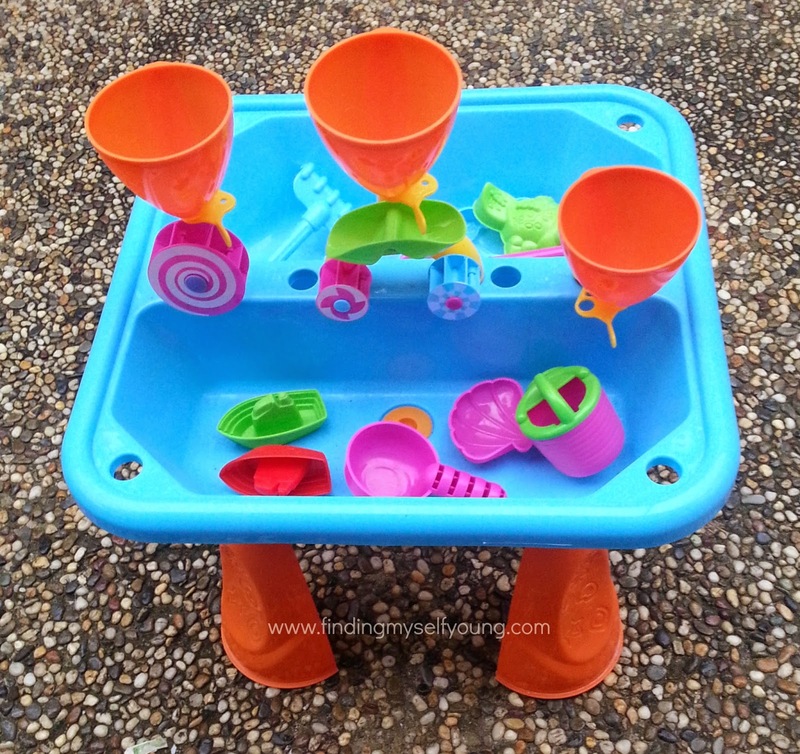 Ah water play is so much fun and we love water tables too. It looks like she's loving it. Shes obsessed with it Karen. Thankfully it lives outside or I'd never get her away from it. We have this exact one. It's awesome! Great post. 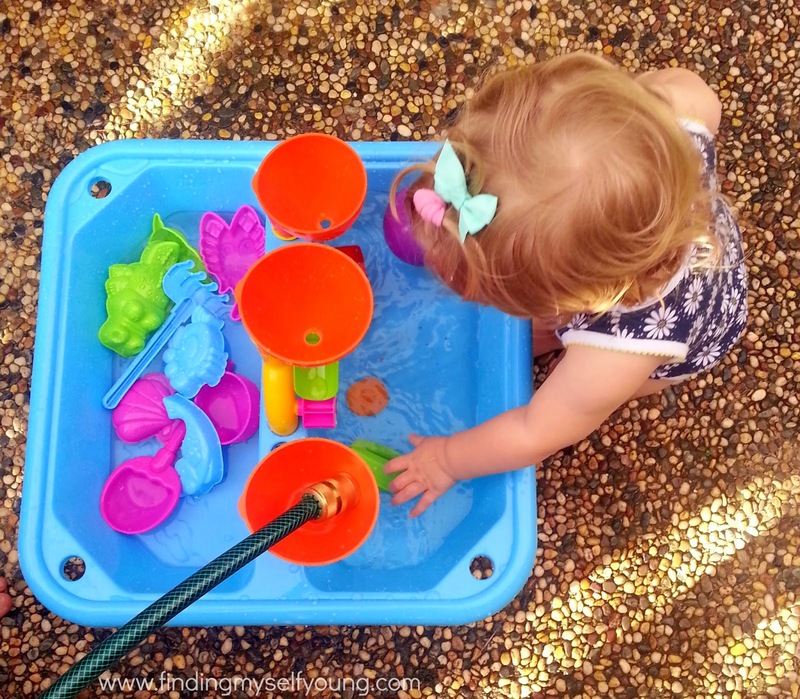 Water play is so simple but so much fun. Its always the simple things that amuse them the most isn't it? Thankfully! We have one similar to that, it is looking a bit worse for wear now after a few years of use and constant sunshine but they still play in it all the time. The latest is to climb up and sit in it! Fingers crossed she doesn't climb into ours any time soon cos she'd no doubt tip it over. 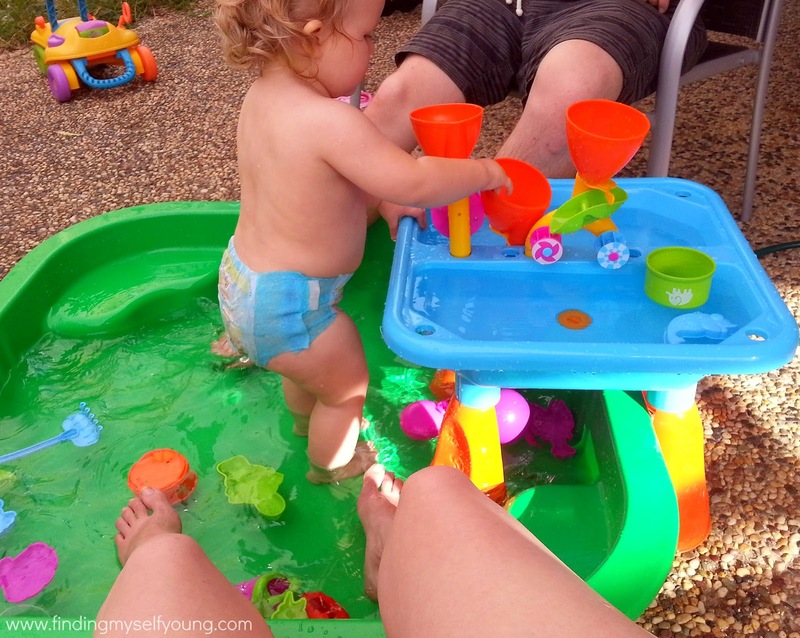 My toddler is also obsessed with water at the moment - tipping, pouring, splashing and playing! I think she'd love one of these - might have to be added last minute to the xmas list! We have kinetic sand and it is true that it's easy to clean up cos it sticks to itself - it's really hard to describe, you just have to feel it for yourself. Oh cool good to hear the kinetic sand does what it says, might have to add that to my xmas list! Oh I love these tables! I'd love to get one for my daughter to play with. My boys did but my daughter doesn't. I've been meaning to get one as she LOVES the water!! 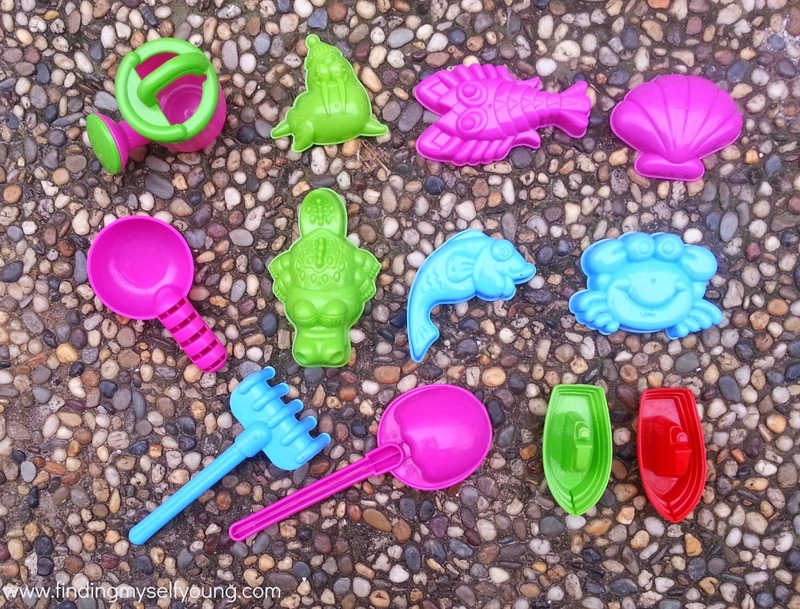 What a great summer time activity set! Another important restoration companies near me service that needs to be applied to your home is removal of molds. If no molds are immediately apparent.